There are so many aspects of a massage that make it great. There is the calming music, the comfortable massage table, the expertise of your massage therapist, the knowledge that you’re doing great things for your body and mind, and the SMELLS. Whether the scents of the massage oils used by your therapist are noticed by you right away, or they linger in your subconscious, they are no accident, and do way more than just smell great. Here we will take you through all of the great oils we offer, why we use them, and how they can benefit you. Eucalyptus: since ancient times, this oil has been used to relieve congestion and headaches. It also has a cooling effect on the skin, and is used to treat pain. It is a strong disinfectant for skin, and stimulates the immune system. Lavender: perhaps the most popular essential oil scent, the benefits and uses for lavender are impressively expansive and varied. You may already know that lavender helps to promote relaxation, but did you also know that it can relieve anxiety and depression, fight insomnia, and treat respiratory problems? When applied topically, it can disinfect skin, bring pain relief, and improve blood circulation. Our Vitality blend is rejuvenating and calming. We use many different botanical oils that have a cleansing, refreshing effect on the body. We include geranium, which has a lovely, stress-reducing fragrance, and can ease inflammation and lower blood pressure. We enjoy the bergamot in this mixture, which creates a feeling of energy and joy, and can increase circulation. The sage that is added to this blend is uplifting, and helps to combat mental fatigue. Our Radiance blend includes a distinct touch of pine, which has a stimulating effect on the mind. Pine has also been used to treat skin conditions and reduce inflammation. We incorporate citrus into this blend, which has a wonderfully positive effect on mood, elevates feelings of well-being, and brings energy. Vetiver is also added, which emits a cooling effect on the body, and can help ease insomnia, increase libido, and is antiseptic when applied topically. Essential oils have been used for medicinal, therapeutic purposes for thousands of years in Rome, Greece, Egypt, India, and China, but only became popular in the United States in the 1980’s. 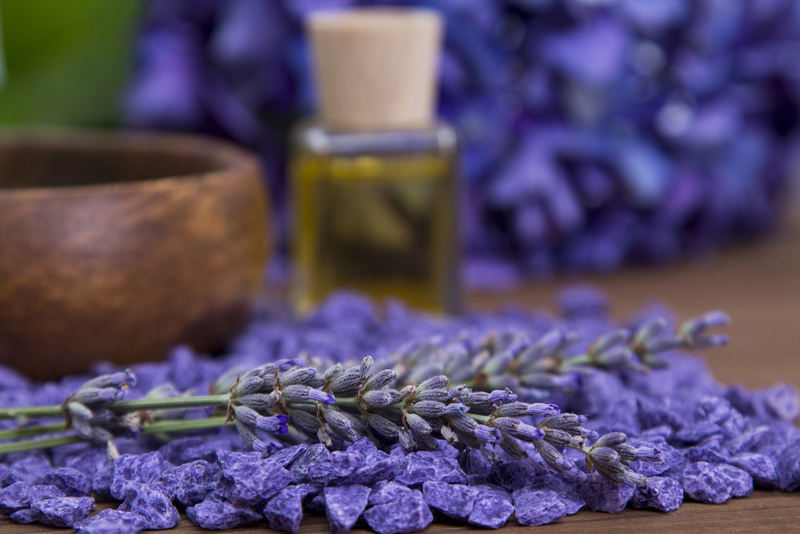 Experiencing aromatherapy through massage is a great way to begin to appreciate essential oils. You get the combined benefit of a therapeutic massage, the healing properties of the oils’ effects on your skin, as well as the benefits of breathing them in. While scientists are sometimes unclear as to how or why aromatherapy is effective (some say that the oil scents stimulate areas of the brain and influence mental, physical, and emotional health), the effects of essential oils are tried and true. If you’re not sure which oil or oil blend is the right one for you, discuss the options with your massage therapist. Give each one of them a try (but maybe stick to just one per massage), and figure out your favorite. And then just lie down, breathe deeply, and enjoy the therapeutic benefits of the aromatherapy.